Greetings all! This is a book I'm excited to read. (Alright. Truthfully, I already read it in advance because I had some time to kill one day and I decided to launch in.) 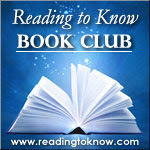 I loved the book and will be sharing my thoughts on it shortly. However, we mustn't put the cart before the horse, so here is Heather (of Lines From The Page) explaining why she chose this book. I grew up in the Midwest, but somehow I missed reading anything by Gene Stratton Porter until five or six years ago. It wasn't until I moved to Indiana and my local book club focused on Indiana authors for a few months that I first read Freckles, A Girl of the Limberlost, and Laddie . I've read Laddie at least twice more since then, and I'm thrilled to return to it again this August. Freckles and A Girl of the Limberlost are quite similar in tone to L. M. Montgomery's writings, with common themes of orphans overcoming difficulties and finding success in life and love. 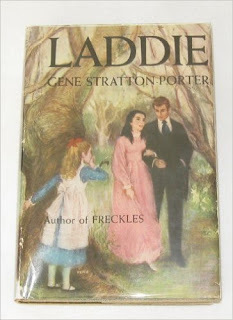 But Laddie is considered the most autobiographical of all Gene Stratton Porter's novels. She was the youngest of twelve children, just like Little Sister, who here narrates her own story and that of her family. You will laugh at her brother Leon's antics, glean wisdom from her mother and father, and root for Laddie to win the hand of the Princess. It is really an amazing combination of beautiful prose, humor, wisdom, romance, and even a little mystery - all my favorite story elements in one package! What I love the most, however is that faith and family values are at the heart of this story. Though it is not particularly a "Christian" book, Biblical truths are woven all through it. I think you will find it inspiring, encouraging, and thoroughly enjoyable, and I look forward to sharing favorite parts and comparing notes at the end of the month. Here is one of my favorite quotations to whet your appetite for some of the treasures you'll find in Laddie. This is mother speaking to her agnostic neighbor Mr. Pryor: "Had I life to live over, I see now where I could do more; but neighbor, believe me, my highest aspiration is to be a clean, thrifty housekeeper, a bountiful cook, a faithful wife, a sympathetic mother. That is life work for any woman, and to be a good woman is the greatest thing on earth." I hope you'll consider reading along with us this month. In order to remove any excuses you might have in not doing so, I'll note that Laddie is available for FREE on Kindle . You're welcome. If you are or will consider reading along, we'd love to hear from you in the comment section below. Hmmmmm. . .Maybe. . .such a busy month! So many books, so little time!!! Yes, it does sound like a book I'd enjoy. I have a Kindle app on my phone already, and am trying to get the book. I've never used the app before, and can't figure it out. Hmmm. 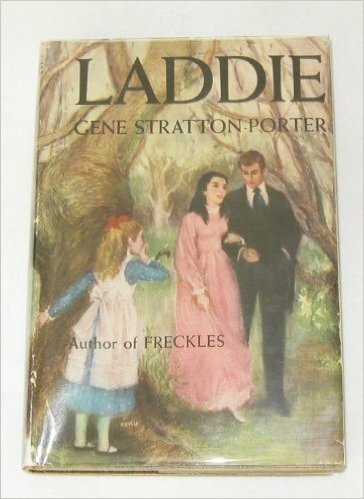 I wasn't planning to - I had read Freckles and Girl of the Limberlost in the last couple of years and wasn't really thrilled with Porter's writing style. But this is making me rethink that decision. :) It's free for the Kindle app, so I went ahead and got it. I'm going to try to read this one aloud to my girls. I love Limberlost. Why not try this one? Gonna give it a try! I'm late getting started though. Pulled it up on my Kindle this morning.